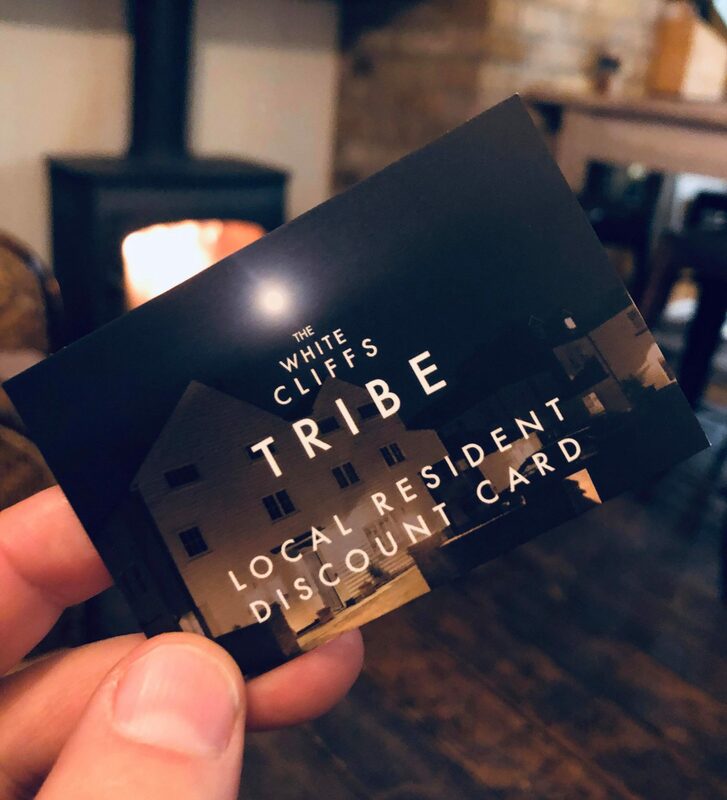 Join The White Cliffs Tribe, an opportunity for people living within CT14, CT15, CT16 OR CT17 to receive 15% off their total bill when dining Monday to Thursday and Friday lunch; 15% off all drinks between 5pm and 6pm. Just pop in with proof of address and we will issue you with your discount card. 15% off your total bill when dining from Monday to Thursday and Friday lunch. 15% off all drinks between 5pm and 6pm, Monday to Friday. Other incentives throughout the year. By taking part in the scheme you agree to allow The White Cliffs Hotel to use the information held to keep you informed of relevant promotions to the membership scheme and up to date with what is going. We assure you that this information will not be shared with any 3rd parties. If you are a local resident (within postcode CT15,CT16 or CT17) to The White Cliffs we may ask for proof of address before the card is issued. Please see below for full terms and conditions. Terms & Conditions: The term local is defined by anyone living within the CT15,CT16 or CT17 postcode. Proof of address may be requested. Can only be issued by a member of management. Applies only to the days of the week stipulated above, subject to opening times. Offers are only valid when the cardholder is present. Maximum table size of 8 people. Please notify us of your membership when making a reservation. Cannot be used between 24th Dec to 1st Jan, Valentine’s Day and Bank Holidays unless otherwise stated. Only 1 membership card can be used per transaction. Cannot be used in conjunction with any other offer. Management reserve the right to recall this membership at any time.